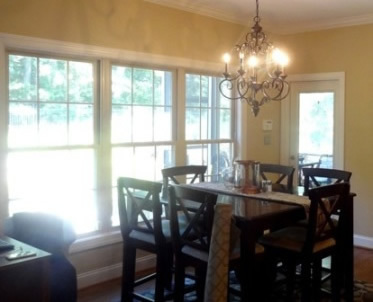 Our custom valances made the ceilings of this Winston Salem, NC home feel taller. 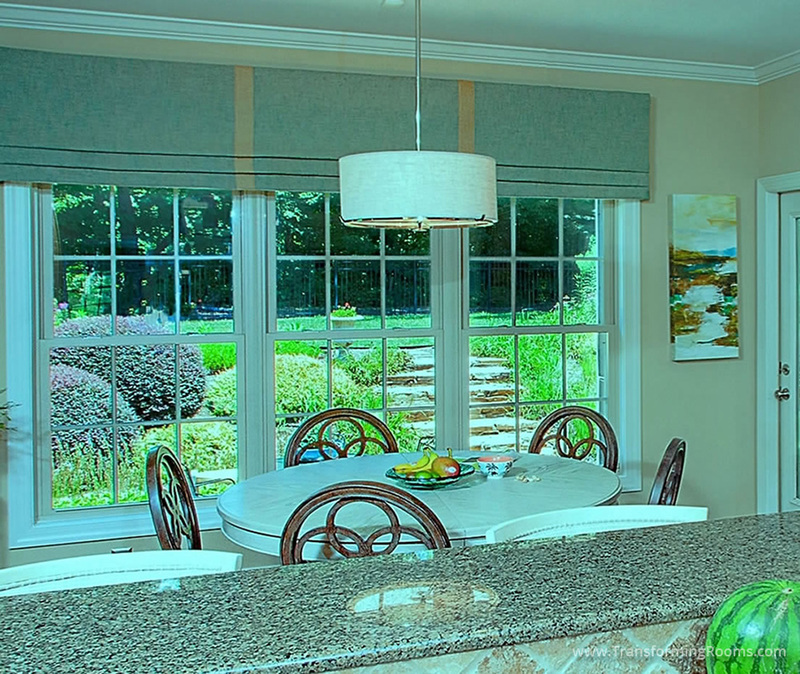 Whether you have single windows, doubles, or triples, or a combination of each, we provide styles that compliment your space. We brought the gray wash kitchen table, unique chairs and a linen drum chandelier. It's convenient to have one source to coordinate all your needs!